This stunningly personal document and extraordinary history of the turbulent sixties and early seventies displays James Baldwin's fury and despair more deeply than any of his other works. In vivid detail he remembers the Harlem childhood that shaped his early conciousness, the later events that scored his heart with pain—the murders of Martin Luther King and Malcolm X, his sojourns in Europe and in Hollywood, and his retum to the American South to confront a violent America face-to-face. 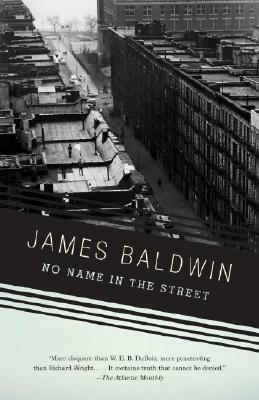 James Baldwin was born in 1924 and educated in New York. He is the author of more than twenty works of fiction and nonfiction, including Go Tell It on the Mountain, Notes of a Native Son, Giovanni's Room, Nobody Knows My Name, Another Country, and The Fire Next Time. Among the awards he received are a Eugene F. Saxon Memorial Trust Award, a Rosenwald Fellowship, a Guggenheim Fellowship, a Partisan Review Fellowship, and a Ford Foundation grant. He was made a Commander of the Legion of Honor in 1986. Baldwin died in 1987.